The peace talks table between Colombia’s ELN rebels and the government increasingly resembles a dying patient. The parties must quickly decide whether to reanimate or bury him. No peace process is linear, and all have obstacles and setbacks. But this one in particular has become a long chain of misgivings. In 2016, the agenda was announced but the table was not installed. Then they released the hostages, but not politician Odin Sanchez. In 2017 the table was installed, but few advances were made, and in 2018 a truce ended in a new military escalation. Now we are waiting for an evaluation of the administration of President Ivan Duque that never came. The current crisis at the table in Havana did not begin with the arrival of Duque on August 7, but has more to do with the government’s notion of peace and the erroneous perception of what the ELN is. 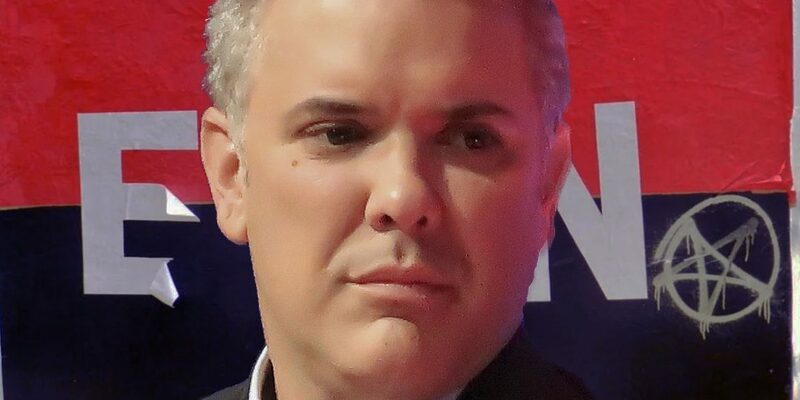 It is not exactly known what Duque and his team think because we also don’t know what happened with the announced evaluation, but everything indicates that the arrogance of power impedes them to see the country’s reality. Invited to the evaluation would be the Catholic Church, the UN and, of course, those who have been formal negotiators. Excluded was civil society that has supported the process and has defended it, as well as the counterpart, the ELN. The evaluation of four years of efforts require a responsibility that goes beyond the pettiness imposed by immediacy. Additionally and in relation to the FARC, the winds of peace have not been able to adequately move the ancient windmills of war. One of these windmills, called the failure to comply, leaves a long shadow that stretches from Colombia to Havana. To comply with the FARC, the guerrilla group that demobilized last year, does not mean surrendering the country to them, on the contrary. It send a message to the remaining groups that the government is being serious. In relation to the ELN, Duque has decided to suspend the peace talks, question the agreed agenda, retire the negotiators, make at least 17 different demands to the ELN, reject any bilateral gesture and deny the existence of international humanitarian law. Nothing that even smells of former President Juan Manuel Santos seems valid to him and to invent a new format, the president rewinds several decades by proposing a basic DDR (demobilization, disarmament and reintegration) model. It is true that the ELN persists in the ethically repudiable, human rights-violating and politically indefensible act of kidnapping, but to reduce the armed conflict to only kidnapping is not just erroneous, it is perverse. In fact, part of the international community that previously strongly supported the peace talks is now sticking to the discourse of Duque. Only a few months ago, UN Secretary General Antonio Guterres, expressed his support for talks with the ELN. The issue of peace with the ELN was even reason for a debate in the Security Council, not the smallest thing. Over the past 27 years, the ELN has sought peace, at times with the support of Mexico and Cuba, and the current table has been developed with a network of guarantor and accompanying countries to which Spain wishes to be added. But an important part of the group of embassies that have accompanied peace have turned their backs after Duque’s election victory in June. Returning to the issue of kidnapping, the retention of people are complex deeds in the context of war, but the detention of people who do not directly participate in hostilities is a war crime beyond any doubt. We must remember that part of the political defeat of the FARC was associated with the “No more FARC” campaign from 2008 during which hundreds of thousands took to the streets. This defeat was the result of, among other things, a reduction of armed conflict and kidnapping. For this reason, the ELN must take the decision to move beyond making what should be a political non-issue one of principle leverage points. What matters is not just what the ELN does, but what society believes it does. This is not resolved in the media, but in reality. Removing violence from politics is urgent and implies not just a negotiated decision but, above all else, a convinced decision. But, to honor the truth, nothing makes me think (and I hope I am wrong) that if the ELN ends kidnapping as is suggested by many sectors, this would be enough to resume the talks, because the number and nature of the conditions mentioned by Duque imply more or less that he will negotiate with the ELN only when they surrender unconditionally. This does not mean that the ELN shouldn’t proceed to end kidnapping, to the contrary. I believe they must do so in a concession to society, not for the negotiations with the government. What is added to the debate is the media strategy to fuse the ELN with Venezuela, which is nothing but an excuse to undermine the peace talks. Francisco Santos, Colombia’s ambassador in the United States, even suggested that the ELN is a paramilitary group of the Maduro administration, while Venezuelan opposition politician Javier Tarazona claimed there are more than 50,000 ELN guerrillas in Venezuela alone. This would be funny if it weren’t for the many who believe this kind of analysis. Along the same lines, there are voices within the government proposing to exclude Venezuela as a guarantor and move the peace talks table out of Cuba. This would imply that the three countries proposed by the ELN would be out of the game with which the ELN would lose all international guarantees that are necessary to advance. Again, dialogue is confused with a trap. It is true that the ELN has been active in Venezuela for years, even before late President Hugo Chavez 1999 election victory, and that the government of Venezuela has been facilitating the construction of peace in Colombia since the time when what is now the opposition was in government. The ELN is at the border, because it is there where it grew up, in regions like Catatumbo and Arauca where both states have never had a border policy. Other myths that persist and all but help the peace talks is that the Central Command of the ELN would not be in charge, that they want to carry out their revolution at the peace talks, that ex-guerrillas from the FARC are lining up to join the ELN, that the agenda is ethereal without seeing it as a point of departure and not of arrival, etc. Some opponents wrongly insist that there cannot be a successful peace process until each and every guerrilla member is convinced to surrender their weapons. At the beginning of the negotiations with the M-19, it was estimated that 80% of the guerrillas opposed the surrender of arms. The experts forget one thing: the processes of dialogue also transform the parties engaged in these dialogues.It takes two to tango, but to make war one is enough. To summarize (and with all the nuances you may want to add) I honestly believe the ELN is united, although there are tendencies inside the organization, that the ELN neither is nor feels defeated, that it doesn’t consider the negotiation as a “tactic to reorganize,” and that it does want to talk, just not at any price. In any negotiation process, the imposition of absolutely unacceptable conditions on the counterpart is like kicking against the table. Duque doesn’t end the talks, but he’s also not resuming them. This limbo allows him to push the ELN into a kind of unilateral de-escalation. At the same time, the Peace Commissioner “threatens” to prosecute civilians who are looking for ways to contribute to peace. He even threatens to prosecute anyone who talks to the ELN delegation, as if Colombia’s criminal law is applicable in Havana. Behind this stigmatization (which is supported by media like La Silla Vacia and Democratic Center spokesman Samuel Hoyos) is a latent fear of the elites of civilian participation, the ELN’s strong point in the process. Today I see only one option, and a pessimistic one; to go back in time 25 years and retake the banner of international humanitarian law and the humanization of war to which the ELN is committed according to its own norms and the Colombian government according to the constitution, even though they deny this. In 1998 the “Agreement at the Gates of Heaven” was signed in Germany, which exactly sought to apply certain humanitarian norms. In 2017, the ELN’s was housed in a ranch called “Heaven’s Ranch” in Ecuador. Did we wait 19 years to go from the gate to the ranch? How many more years do we have to wait to sign peace? Author Victor de Currea-Lugo is an armed conflict expert, professor at the National University in Bogota, and author of multiple books on armed conflicts in Latin America and the Middle East.